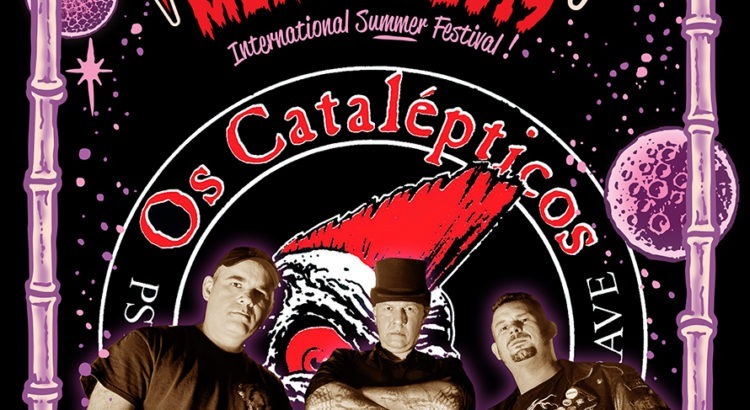 This is a band who many of you were waiting to see them by popular demand , we are happy to announce the kings and the beginners of the Brazilian Psychobilly, OS CATALEPTICOS ! They are fast, evil and savage. They define themselves by using the term POWER PSYCHOBILLY, a style which has influenced many bands appearing after them around the world. From Curitiba they were active from 1996 to 2006, they took a break and returned in 2017. The Brazilian record label got them out of their coffins with the re edition of some of their records. Their comeback was a big tour in California, in the LA Observatory . This was very successful and it gave them energy to keep gigging in their city and Mexico last year. 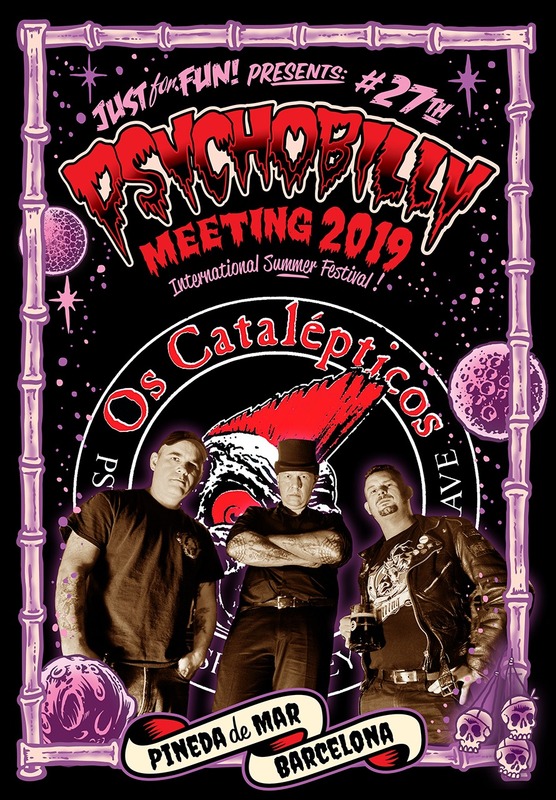 This year we are happy to have them in the Brazilian Psychobilly night on Wednesday 3rd of July on the Main Stage, they are back after enough time away.